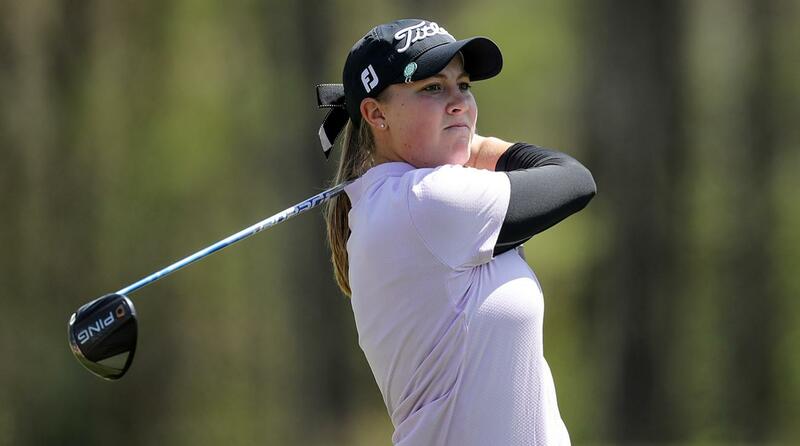 Jennifer Kupcho is the class of the field at the Augusta National Women's Amateur. Jennifer Kupcho is supposed to win this inaugural Augusta National Women’s Amateur. She’s living up to expectations after 36-holes of this 54-hole event that has the appearance of a college tournament. Kupcho, a member of the Wake Forest women’s team and the No. 1 amateur in the nation, looks totally LPGA ready after rounds of 68-71 at a course called Champions Retreat, somewhere outside of Augusta. The tournament moves to the hallowed grounds of The Masters site for Saturday’s final round but only 30 players of the original 72 made it. Just so the rest don’t feel so bad, they get to play a practice round at Augusta National on Friday. Then it’s back to business and Kupcho, with a complete game, is expected to emerge as the champion. She has a one-shot lead over Maria Fassi, a player from the University of Arkansas who put up rounds of 70-70, four under. Pimnipa Panthong from Kent State was at three-under along with Sierra Brooks from the University of Florida and Texas Longhorn Kaitlyn Papp. It took a score of three-over to make the cut to 30. It’s super nice to give 31 and above a practice round. But it does take away from the drama to qualify. There’s gonna be a lot less crying this way. But also less celebrating because either way everyone knows they get a notch on the ol bucket list. All this equals to less drama and emotion, the kind I have felt many a times chasing DCP finals.